Arden, Freehold Communities’ new master-planned community in Palm Beach County, is a new kind of community where nature and healthy living are at the center of the lifestyle. Innovative amenities, carefully sculpted neighborhoods and modern home designs all come together to create a unique sense of place. Kennedy Homes is helping make this vision a reality with their contemporary designs and focus on the environment. At Arden, Kennedy Homes is offering a variety of one and two-story homes in Farmhouse, Coastal Cottage and Spanish architectural styles. Ranging in size from 3,326 to 4,335 square feet, these homes have three to five bedrooms and two to four and a half bathrooms. Starting from the $400,000s, homes are situated on 65-foot homesites. Marble windowsills, 8-foot paneled doors, a Roman tub in the master suite and granite countertops throughout are just a few of the premium features that make each home by Kennedy Homes feel luxurious. Also included in every home are advanced features like Kwikset Touch-to-Open™ Kevo smart locks, which utilize the Bluetooth on your phone so you’ll never need to worry about forgetting your keys again. 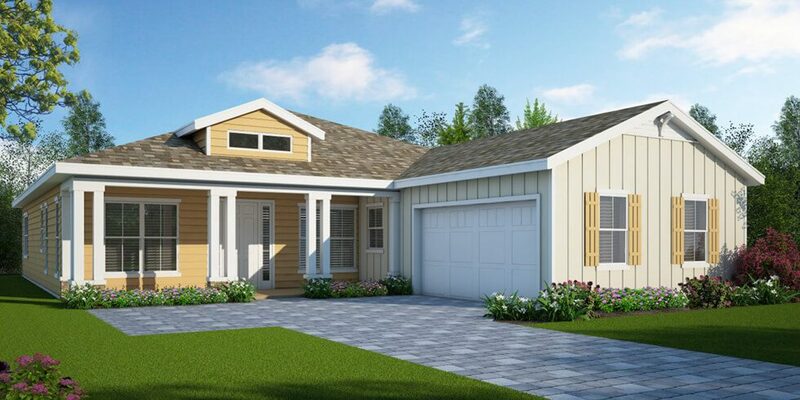 And with optional features like a bedroom in lieu of a study, an outdoor summer kitchen on the back lanai, casual or formal dining room and two or three-car garages; it’s never been easier to tailor your home to your family’s needs. Kennedy Homes has been serving the Florida community for over half a century. An industry leader with over 100 years of combined experience, Kennedy Homes prides itself on building homes that are carefully designed for a modern way of life and constructed to last a lifetime. Kennedy Homes aims to enrich the lives of homeowners through its quality construction and dedication to the environment. Homes by Kennedy Homes include highly sought-after and technologically-advanced features, as well as a 10-year warranty, making the entire design process easier and providing peace of mind. Plus, you can feel good knowing that during construction, Kennedy Homes respects the environment as much as possible by maintaining or restoring the natural features of the land. Interested in learning more about the homes and lifestyle at Arden? Join our Founders Club to be among the first to receive Arden news and updates.